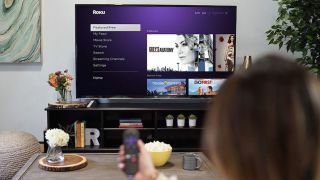 The streaming device company is releasing Roku OS 9.1, and it says that it's expected to roll out to users "over the coming weeks". Another new feature is Automatic Account Link, which means users won't have to keep entering their account information to watch subscription channels when switching between different Roku devices. For US users only, Roku has also refreshed its interface by ordering search results by release date and price, while shows on the Roku Channel brought up by voice searches will begin playing automatically instead of simply being displayed in the search results. Roku recently welcomed Apple TV to its lineup of subscription channels, giving Apple a wider potential audience – especially with its new Apple TV+ streaming service. Whether the new service will follow suit remains to be seen, but with a release date set for the end of 2019, we'll have to wait a little while before we find out.